Salesforce Data.com announced a partnership with Thomson Reuters to connect sales reps to financial content for key deals they work on. The partnership focuses on arming sales reps with more relevant financial information and data on their key customers and prospects. The agreement delivers Reuters News straight to sales reps directly through the Data.com and Salesforce1 dashboards. It can also include financial analyst reports and Wall Street earnings assessment data. Salesforce Data.com customers will have direct access to content from the Thomson Reuters content marketplace directly on their mobile device. This provides them with deeper insights around the companies they meet with to get “up to date” on their clients’ business before attending meetings. Health Market Science: a major provider of health and science information. WealthEngine: provides high net worth contacts. Bisnode: the leading European business contact provider. Harte Hanks: a leading provider of technology information. S&P Capital IQ: owned by McGraw-Hill and a provider of financial data from early stage to public companies. ConsumerInside by Acxiom: A leading provider of consumer and retail data. Additional details around pricing and packaging of Thomson Reuters and Reuters news data will become available later as the new partnership evolves. 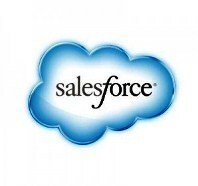 This partnership adds to a growing list of content providers that Salesforce.com leverages today to prepare sales reps with sales intelligence for deals and meetings. The Thomson Reuters data adds to a growing list of providers and increases the value of existing CRM data for Salesforce.com’s customers.